Indoor air quality and pollutants are today recognised as a potential source of health risks. Moreover, women and children are the main victims of this exposure due to their spending more time in an indoor rather than outdoor environment (90 per cent of their working hours are spent indoors). The effects of indoor air pollution are of special interest in relation to respiratory health and allergic disorders including rising cases of asthma. Common indoor air pollutants are released from dust mites, moulds, fungi, bacteria and pests (cockroaches, mice, rats). Several products such as finishes, rug and oven cleaners, paints and lacquers, paint strippers, pesticides, mosquito repellants, dry-cleaning fluids, building materials, and home furnishings also release indoor pollutants. Kerosene, though considered as a cleaner alternative for solid fuels, biomass and coal, emits substantial amounts of PM2.5, CO, NO2 and SO2. These pollutants trigger asthma and allergy symptoms among children and women. 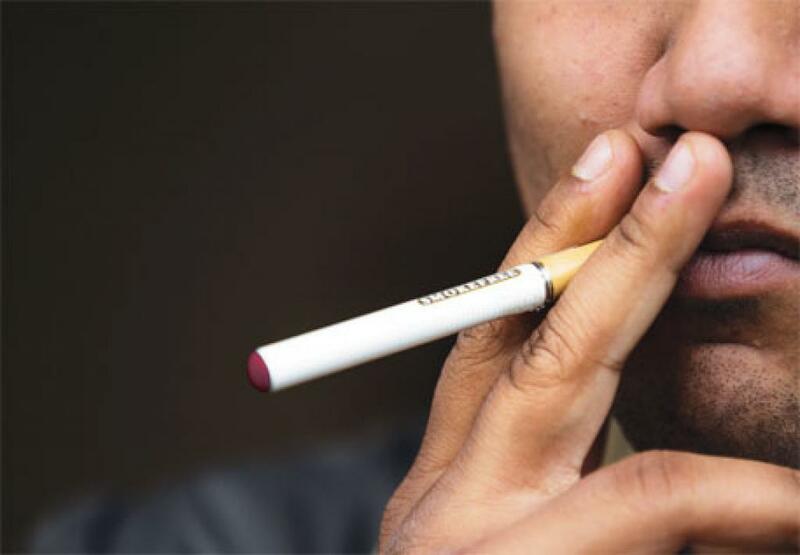 Second-hand (or passive) tobacco smoke is more carcinogenic than mainstream smoke inhaled by active smokers as it is a complex mixture of more than 4,000 chemicals, of which, more than 40 are identified carcinogens in vapour and particle phases. The vapour-phase compounds include benzene, vinyl chloride and acrolein. The particulate-phase chemicals include alkaloids, nicotine and its derivatives, aromatic amines, polycyclic aromatic hydrocarbons and others. The World Health Organization has estimated that 1.5 million premature deaths per year are directly attributed to indoor air pollution from the use of solid fuels. That amounts to more than 4,000 deaths per day, over half of them being children under five years of age. Children are one of the most vulnerable groups to indoor air pollution, as infants and young children have a higher resting metabolic rate and higher rate of oxygen consumption per unit body weight than adults, because they are growing rapidly. Therefore, their adverse exposure to any air pollutant may be greater. In addition to an increased need for oxygen relative to their size, children have narrower airways than adults. Thus, irritation caused by air pollution that would produce only a slight response in an adult, can result in potentially significant obstruction in the airways of a young child. The effect of oedema on the adult airway is much less dramatic than it is on the newborn’s airway. One millimetre of oedema reduces the diametre of the adult airway by about 19 per cent whereas it reduces the diametre of the infant airway by 56 per cent. Also, compared to adults, the peripheral airway (bronchioles) is both relatively and absolutely smaller in infancy allowing intra-lumenal debris to cause proportionately greater obstruction. In addition, infants have relatively larger mucous glands, with a concomitant increase in secretions. They also have the potential for increased oedema because their airway mucosa is less tightly adherent. Lastly, there are fewer inter-alveolar pores (Kohn’s pores) in the infant, producing a negative effect on collateral ventilation and increasing the likelihood of hyperinflation or atelectasis causing concern. Indoor air pollution also impacts academic performance of children by lowering their concentration levels and increasing absenteeism due to asthma and allergies. The indoor air pollution weakens lungs and reduces immunity, making children more susceptible to infectious airborne illness like cold and flu. Indoor air pollution also impacts the development of endocrine glands, nervous and immune system of children. In India, about 83 per cent of rural households and nearly 20 per cent of urban households use solid biomass fuels for cooking. Besides this, Indian cooking needs long hours, using lots of oils and ghee as frying media, producing oil vapours which are inhaled, impacting the health of women. Women and children suffer from spending more time indoors and doing essentially all of the cooking. Total suspended particulate matter (TSP), high level of toxic pollutants, smoke density and oil vapours increase the risk of respiratory infection, lung cancer, cataracts, cardiovascular and other diseases. Health tests to measure smoke levels in the lungs found that women had an average carbon monoxide (CO) reading of 7.77 ppm, while children had an average reading of 6.48 ppm. This suggests that children had CO levels similar to those that would result from smoking about seven cigarettes per day. There is an urgent need to create awareness among people about the issue and the serious threat it poses to their health and well-being. Education should help people in finding different ways of reducing exposure with better kitchen management and protection of children at home for cleaner indoor air. Cleaner, better quality air will improve energy at work and home activities because polluted air saps your over-all energy level by making your lungs and the rest of your body, work harder, thus reducing your efficiency. Breathing cleaner air will allow your organs (especially your lungs) to work better, usually leading in better oxygen absorption by your brain, making you mentally keen and more energetic. There is no question that prevention is the best medicine by far, involving all the stakeholders for improvement—not only the public, but also policy makers to ensure their commitment and awareness about health effects of indoor air pollution.